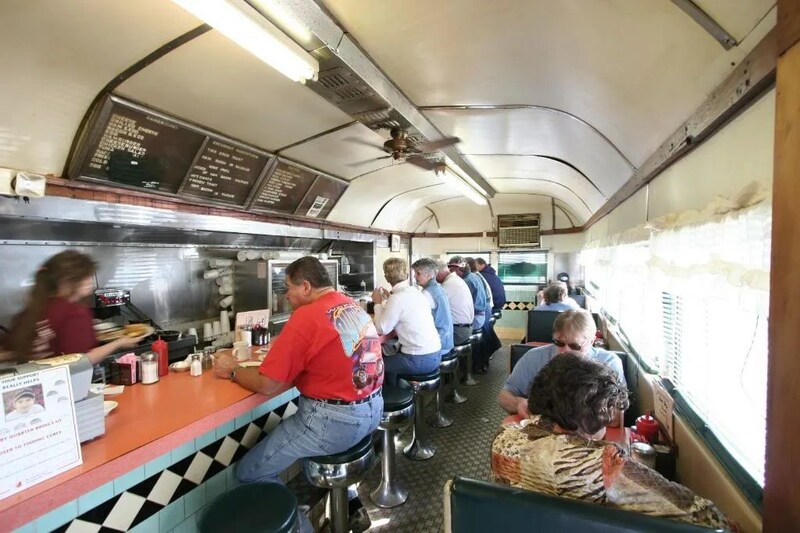 More photos of the West Shore Diner of Lemoyne Pennsylvania from another trip. 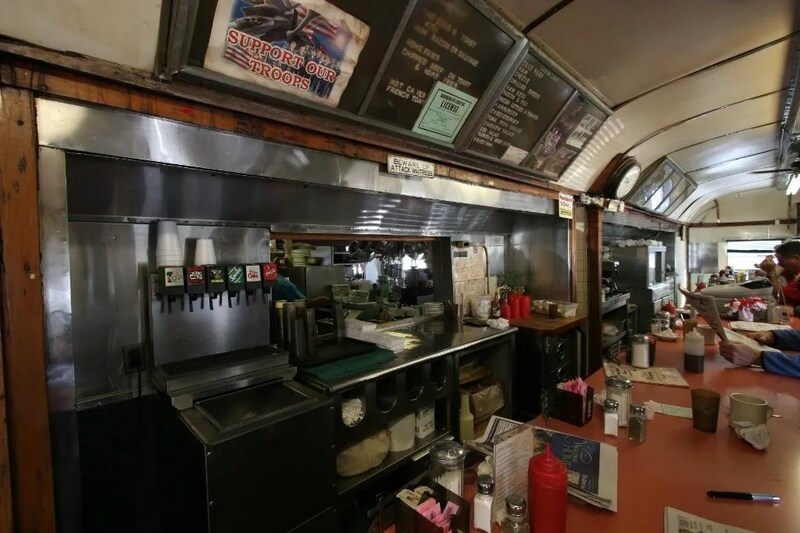 Inside the West Shore- Notice how the backbar has been bumped out into the kitchen area, with the front of the back counter being flush with the back wall of the actual diner. Narrow deuce booths on the right. The backbar setup, with drink machine and passthrough to kitchen. Old woodwork trim. 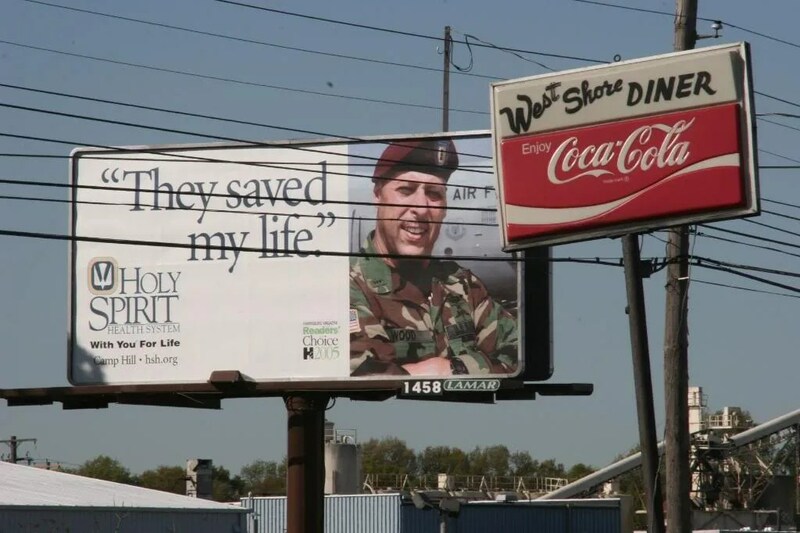 Support our Troops. 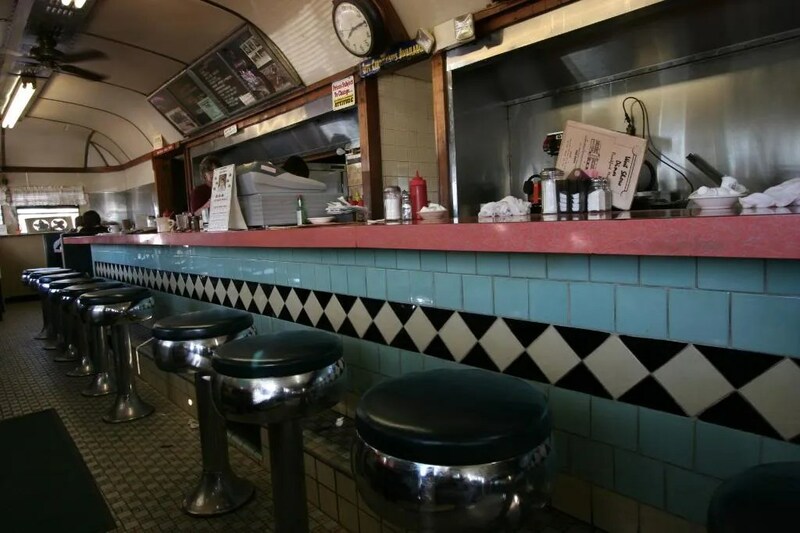 The entire length of the diner. Blue, creme and black tilework. Worn salmon formica. 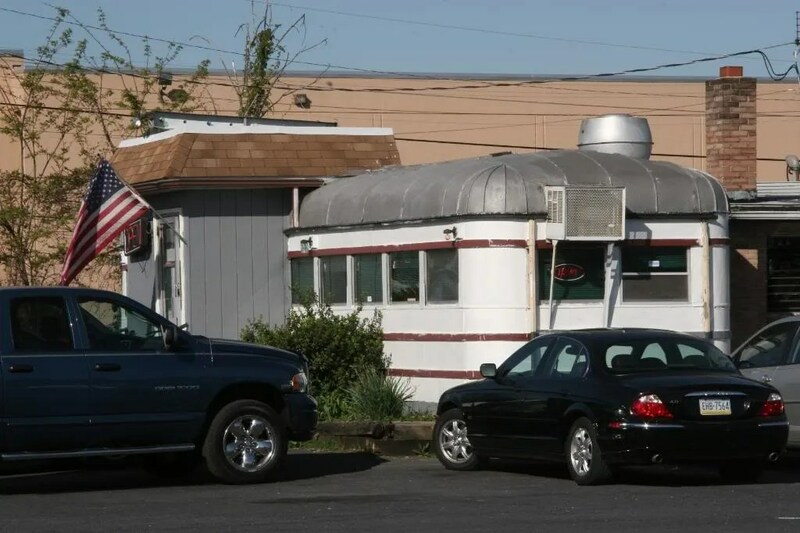 exterior, with air conditioning unit. 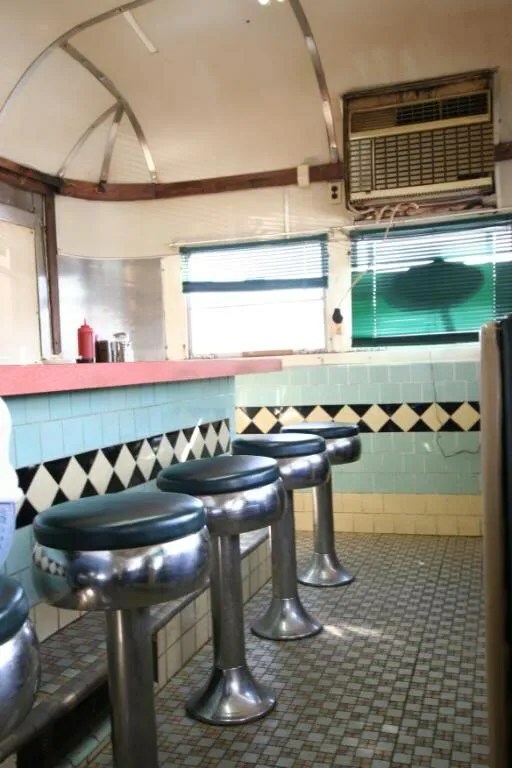 It’s a very narrow diner. 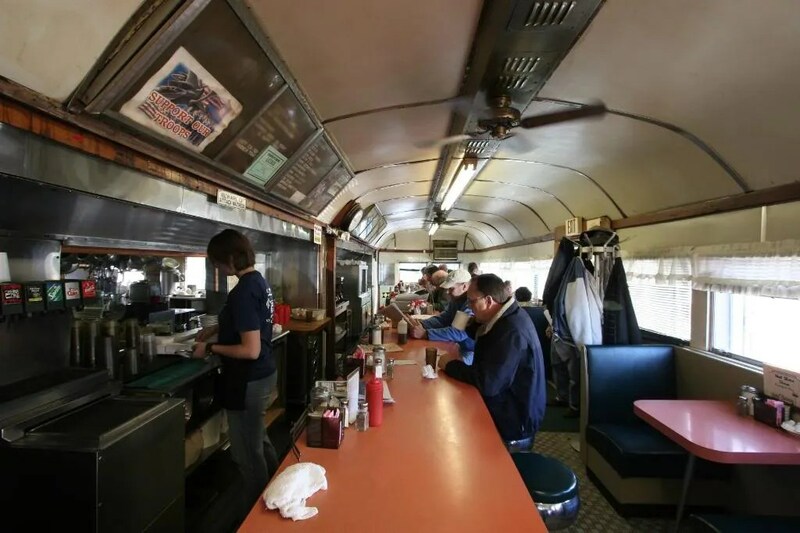 The West Shore Diner. They saved my life. 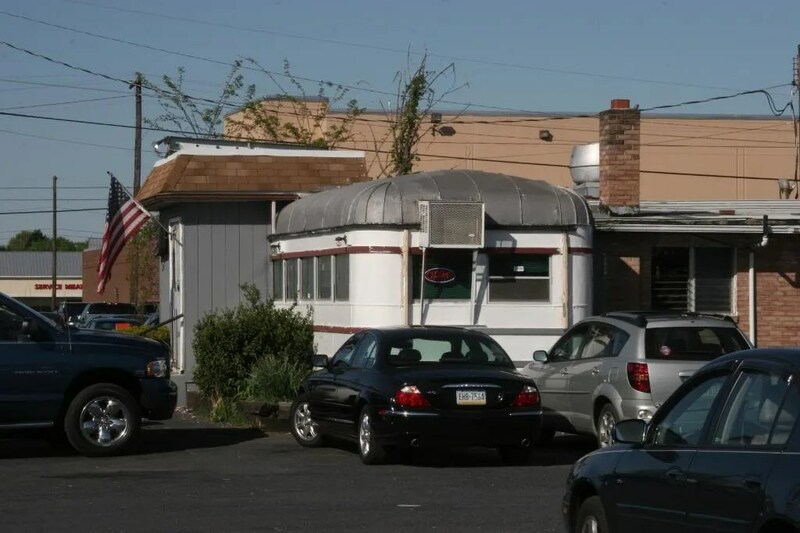 This entry was posted in Diners / roadside related, Diners/ restaurants, Roadside attraction, Silk City and tagged 1930s, historic, Lemoyne, narrow, old, PA, Patterson Vehicle Company, Silk City, Vintage, West Shore, West Shore Diner by Spencer Stewart. Bookmark the permalink.